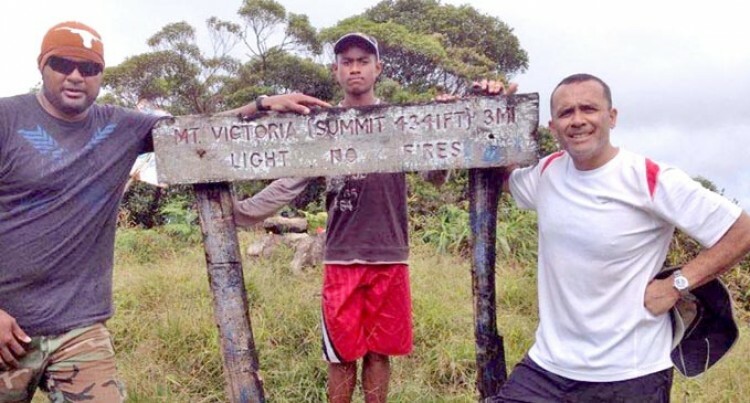 ew Government Member of Parliament Howard Politini Jnr (left), and Rosie Holidays managing director Tony Whitton at Mount Victoria in the Viti Levu interior. FijiFirst Party candidate, Howard Robin Politini Jnr, 41, is likely to be the next Member of Parliament from Government side. His entry into Parliament comes after Immigration, National Security and Defence Minister Timoci Natuva resigned from Parliament. Next on the list under the D’Hondt method of open list was Apakuki Kurusiga who has since stated that he was retiring from politics. Mr Politini Jnr is the next candidate on the list who will now join his fellow FijiFirst members in Parliament. He confirmed that the Electoral Commission has already been in touch with him. Mr Politini Jnr said Parliament would be a learning experience and that he was ready for the challenge. “First of all I must acknowledge the honourable Prime Minister and honourable Attorney-General for giving me the opportunity all the way back in 2014 to be part of the FijiFirst Party when we went into campaign,” Mr Politini Jr said. Mr Politini Jnr was later appointed to two strategic boards of Government; one was Bio-security Authority of Fiji, the other Tourism Fiji. He also acknowledged the support and guidance given to him by a few of his colleagues. “I want to acknowledge Mr Xavier Riyaz Khan, the executive chairman for Bio Security Authority of Fiji and former Tourism Fiji board chairman, Mr Truman Bradley for guiding me through the board level experience during my time there. Mr Politini Jr is the managing director of Nautilus Adventure Tours and Cruises and has been in the business for over 10 years now. He is also chairperson and Board of Trustees of Namaka Public School – the largest Primary school in the Western division by roll numbers.